Dental Implants have revolutionized the replacement of missing teeth and are now recognized as the standard of care in dentistry today. The Katy Center for Oral and Facial Surgery is commonly recommended as the place in Katy and West Houston to have wisdom teeth extracted and dental implants placed. Katy’s Oral Surgeons: Dr. William Wintersteen, Dr. Justin Brock, and Dr. Christopher Morris are Oral and Maxillofacial Surgeons that provide a wide range of Oral and Facial Surgical procedures. We have the experience and technology to provide the best possible treatment. 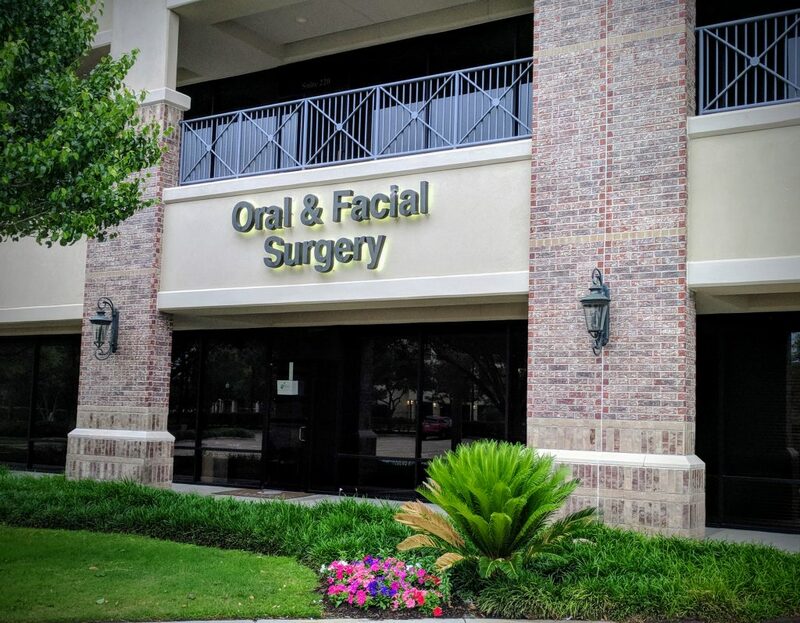 The Katy Center for Oral and Facial Surgery has a long and prestigious history in the Katy and West Houston area where we have been serving for over 30 years. Our philosophy is to treat every patient with respect and compassion. We understand that every individual has unique needs and our goal is to create a trusting relationship with our patients. By earning your trust, we are confident that we will be able to empower you with the knowledge to achieve the optimum oral and facial health that you deserve. A referral from you is the highest compliment we can receive, and our outstanding team fully understands this. That’s why once you’ve visited the Center for Oral and Facial Surgery, we think you’ll be convinced that we’re the obvious choice for all your oral and facial needs. The first step is seeing for yourself – please call us at 281-392-1130 to set up an appointment!